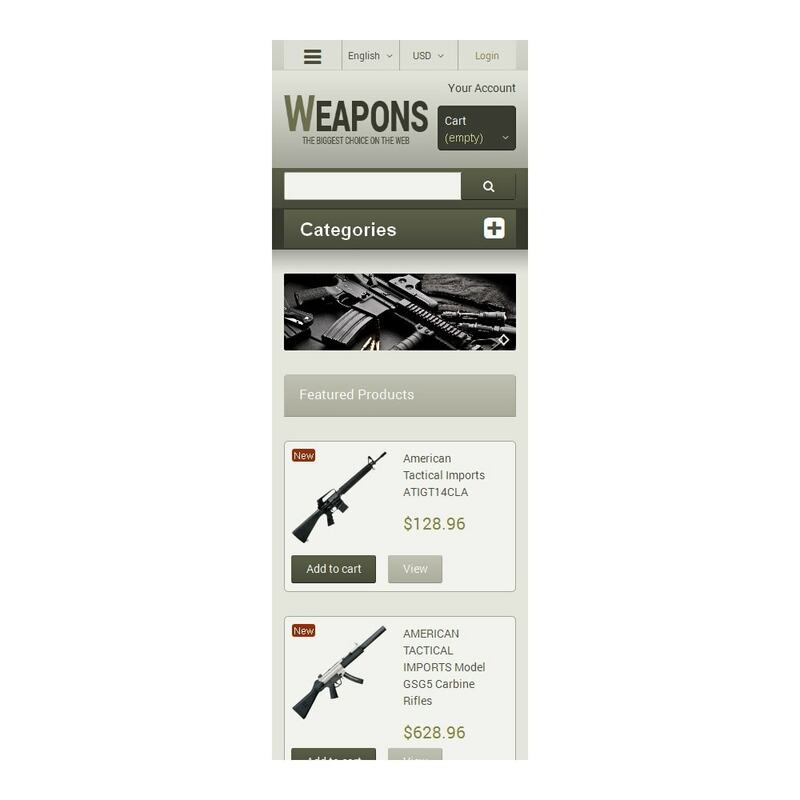 If you sell products like weapons, you need a special website more targeted on the male audience. 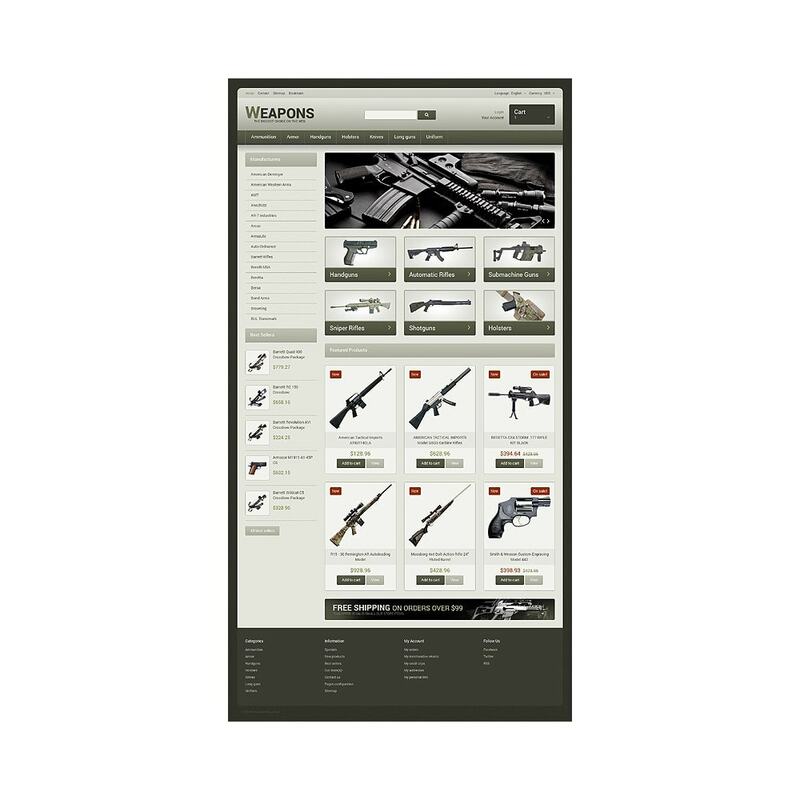 Our template in military style was crafted by the most experienced designers specifically for this purpose. The severe atmosphere is perfectly rendered by the designer. Khaki hues make the impression complete. 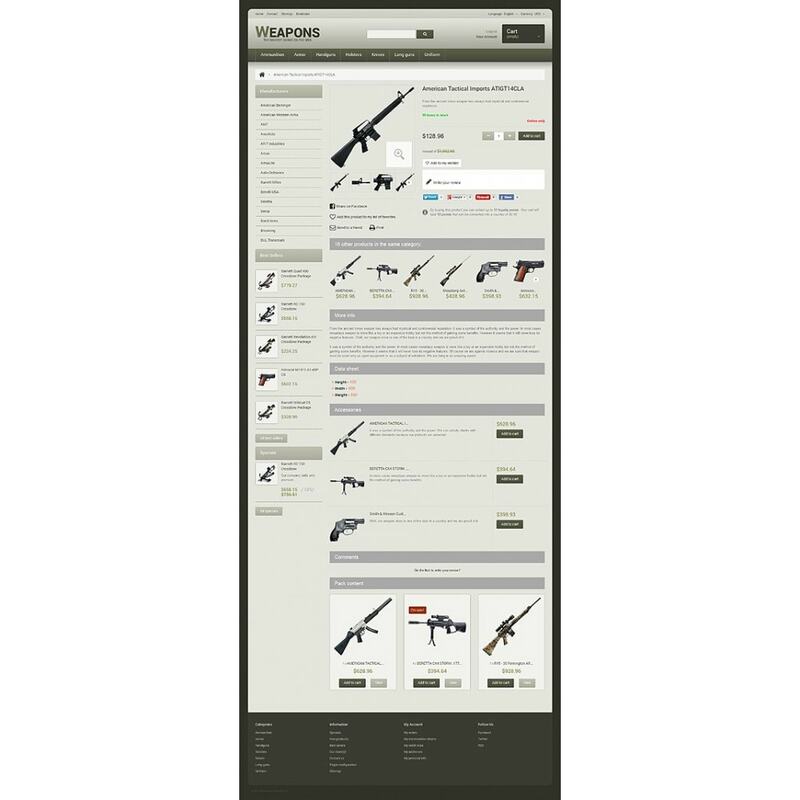 Weapon images in the slider, on banners and in the content area look rather menacing. 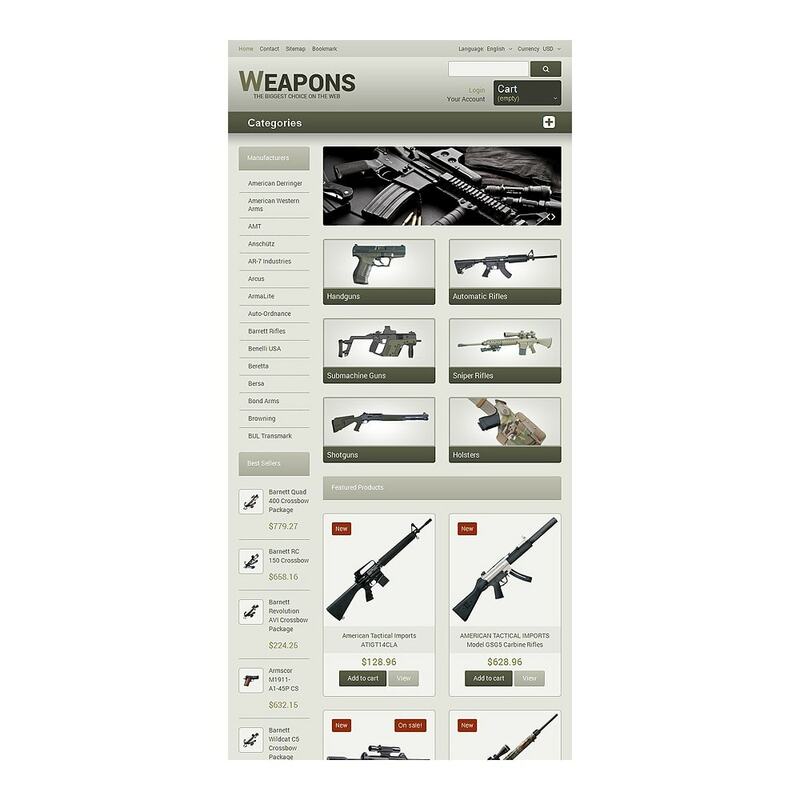 The left sidebar is dedicated to navigation, which considerably enhances the main menu. 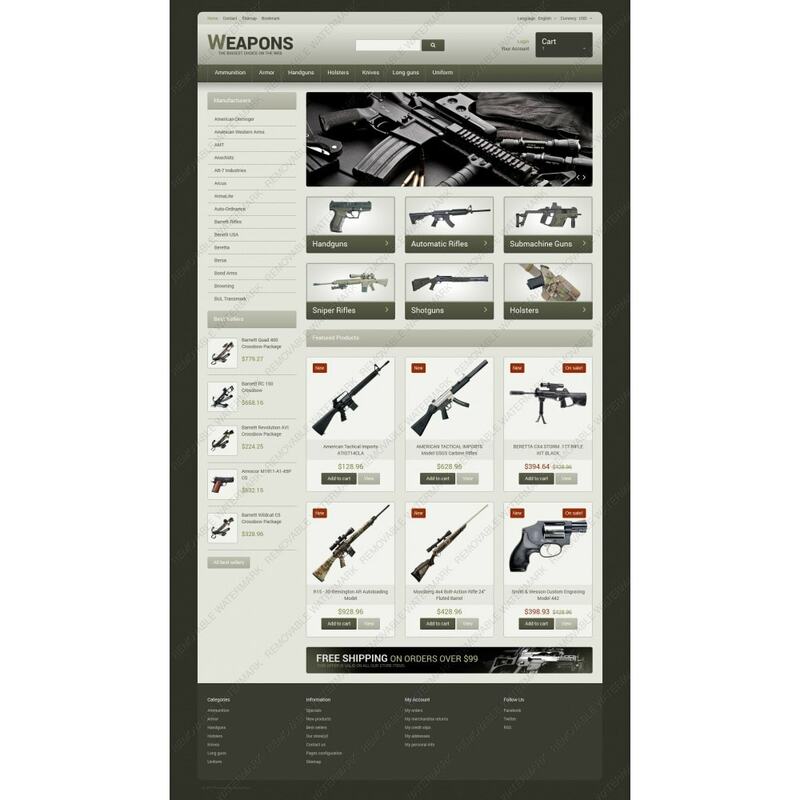 All items come with descriptions which gives buyers all necessary information about the product. 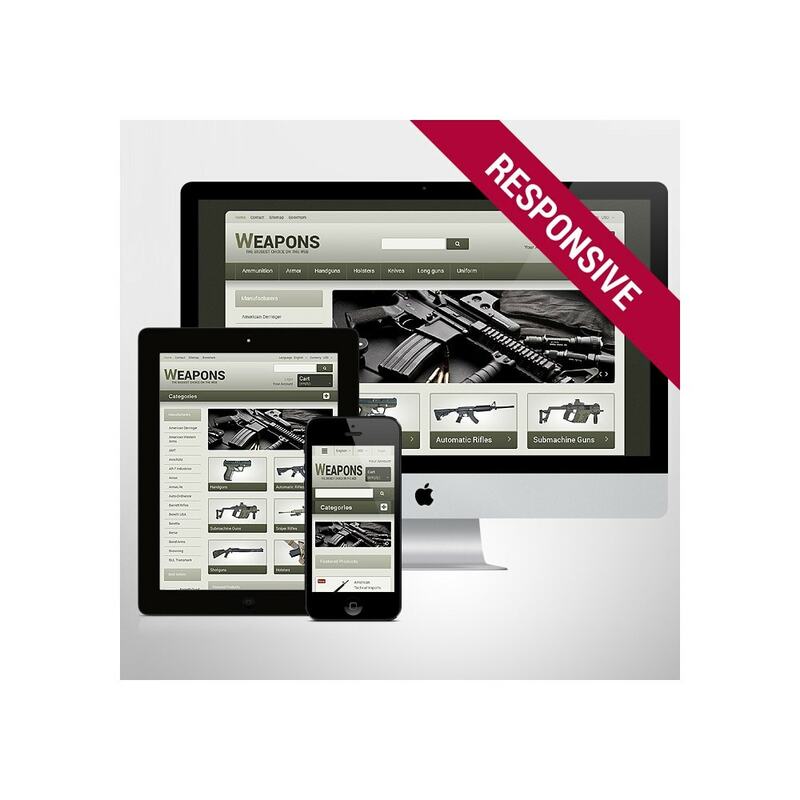 We are sure that your military business will thrive with our premier template. 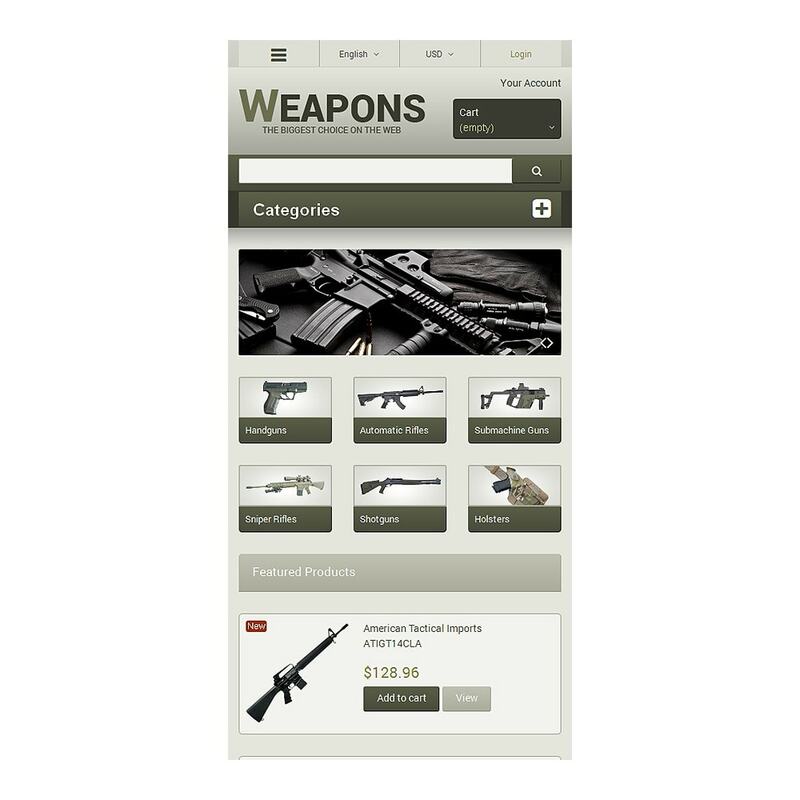 The theme is suitable for merchants selling all kinds of weapons and fishing gear.